The bow tie made from salmon leather – a noble detail to suit your outfit. 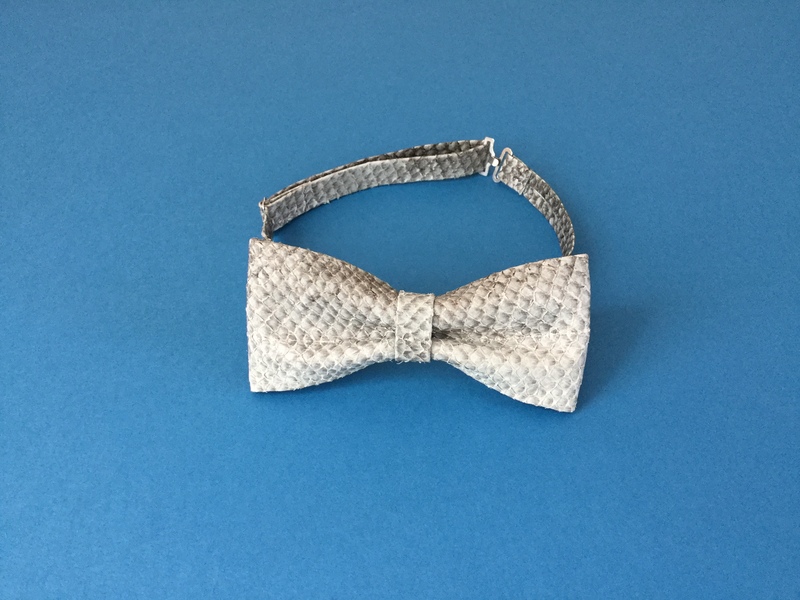 It was a customer request, which drove us to design a bow tie made from salmon leather. We used a simple gray for it, which changes from a light to a dark tone within the color scale. The width of the strap can be adapted to the neck size, so that the bow tie always fits well. 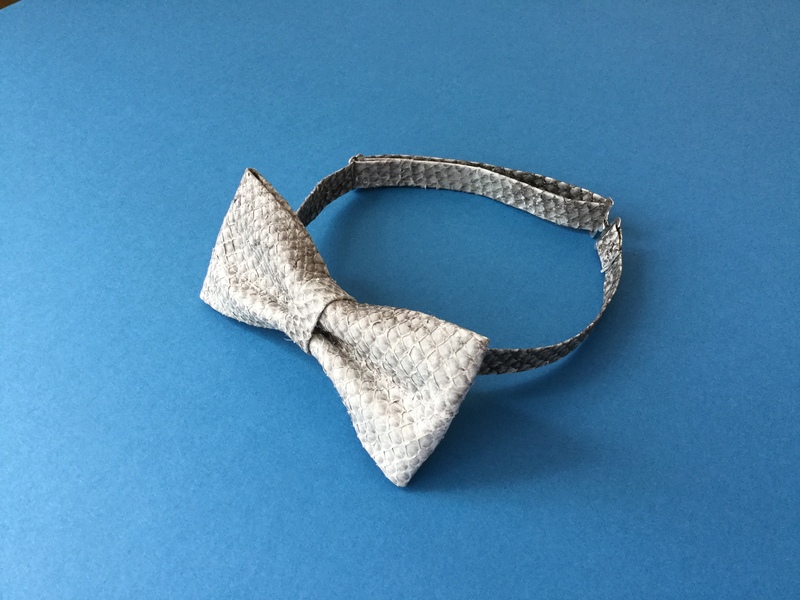 The body of the bow tie is 12 cm long and at the outer edges 6 cm high. 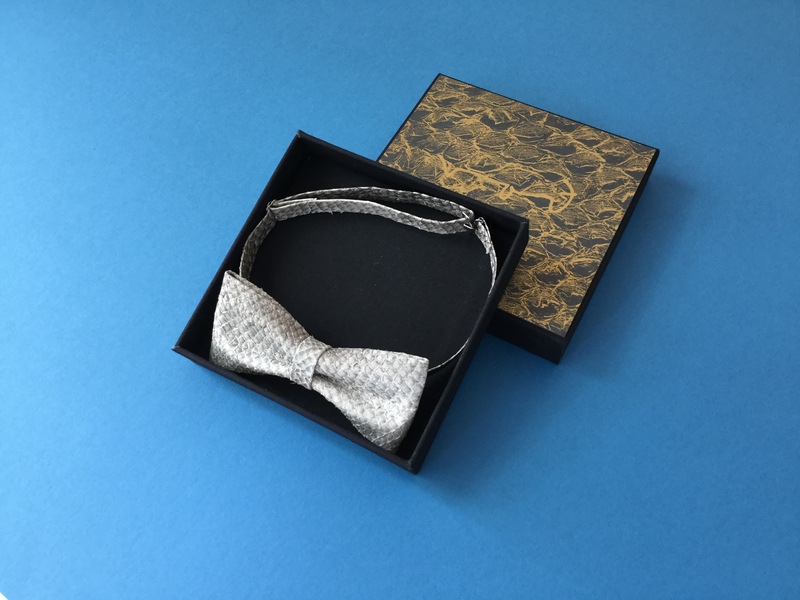 Upon your request we gladly offer to manufacture your own bow tie made from icelandic salmon leather.